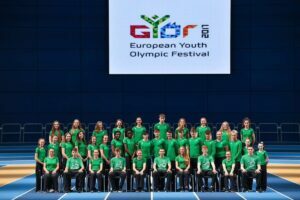 The Olympic Council of Ireland has announced a team of 40 athletes to represent Ireland at the European Youth Olympic Festival in Gyor, Hungary 23rd – 27th July 2017. Bearach Gleeson has been selected to represent Judo at the EYOF and will be accompanied by coach Paul Green. We wish Bearach & Paul the very best of luck as they represent Team Ireland.